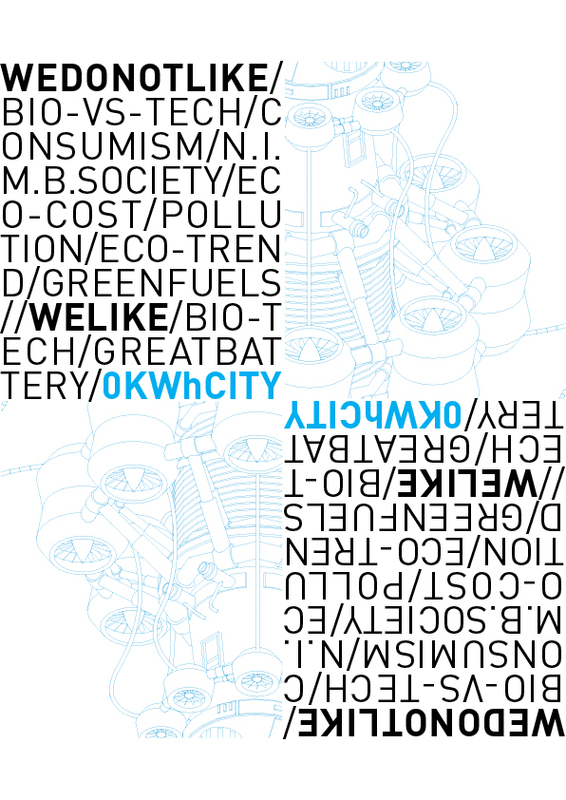 0 kWh City is about a society, a way of living and how they get translated in architecture. It is the representation of a future as an inevitable consequence of the contemporary world with all its intrinsic contradictions, its actual or driven needs, vices and habits. Future is progress and progress – for the time being – is nothing but technology; technology being exclusively privilege of human beings. We believe that mankind will never give up any comforts or drop all those apparatuses and devices that are now an integral part of their daily life, but rather they will produce even more efficient ones. Herein lies the contradiction of the modern world: a “sustainability” label that, on one hand, aims to exploit natural resources claiming to employ environment-friendly “green” technologies, while on the other hand it seems not to care about the environmental impact that the incessant devices production – which is already overcome in the very moment they are put in the market – and their disposal bring along. 0kWh city is mankind at the service of technology, a necessary commitment towards a sustainable balance of their existence. 0kWh city is progress, fashion, brand. It is the “bio” world that is to come.